The chat sessions (online debates) listed on this page took place between March and June 2009. They aimed to facilitate communication between teachers, students and key public figures in Europe. The sessions focused on topics related to creativity and innovation. 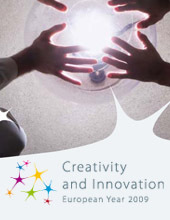 Theme: Education in the learning economy: What kind of skills are needed to survive in a creative and innovative world? Theme: European Parliament elections: Why my vote can affect the future of Europe? Theme: European elections: Why are they also important for our regions and cities? News article: Domenico Lenarduzzi: Never stop learning! Why do young women and men have a particular responsibility for setting the political agenda for the future and how can you shape the politics and put pressure on the politicians?